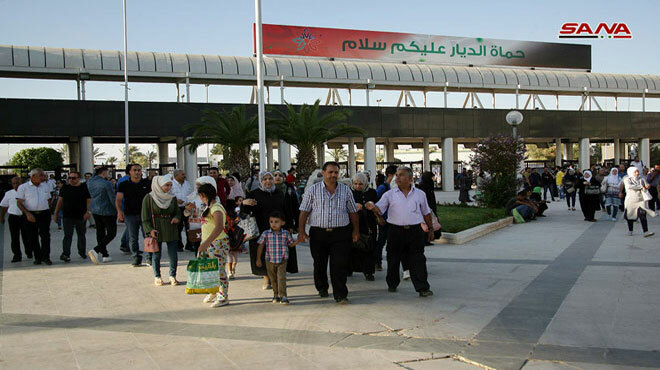 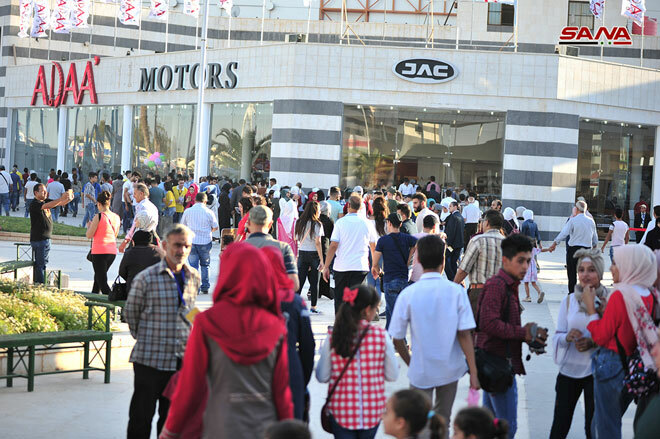 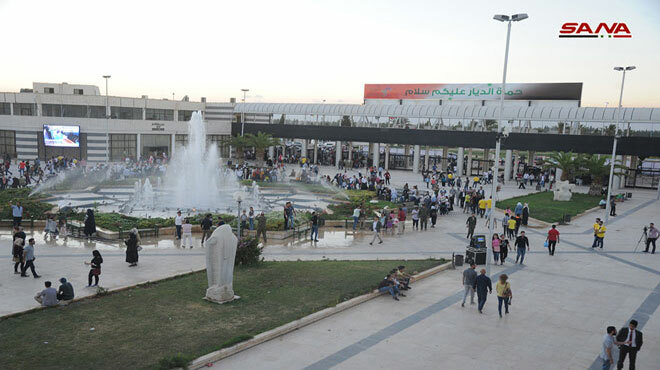 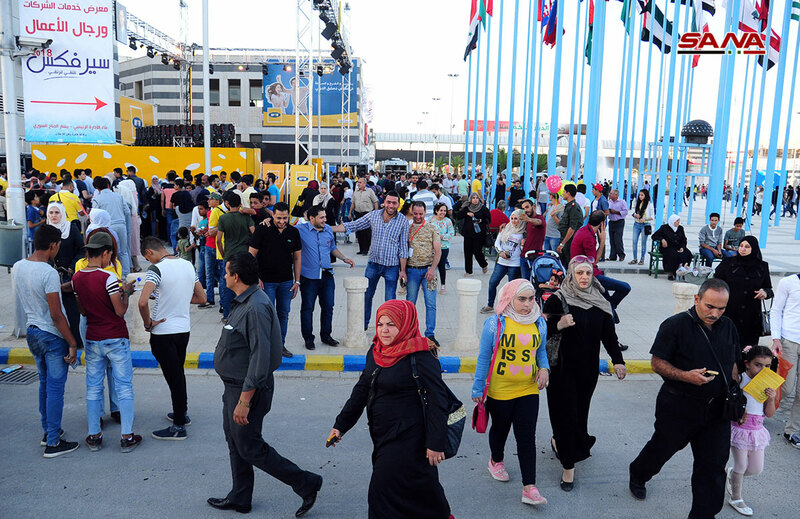 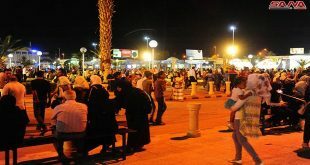 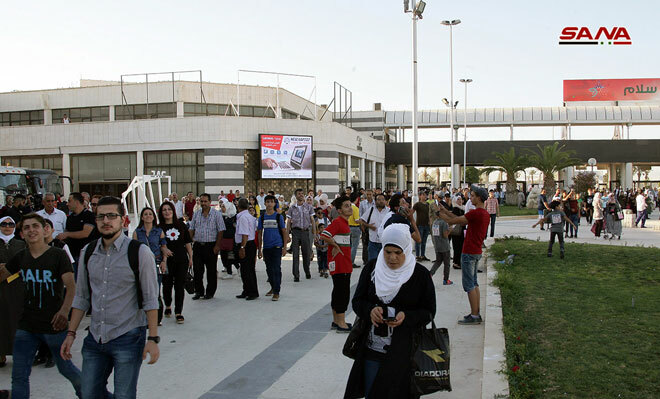 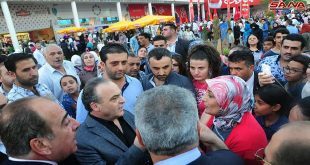 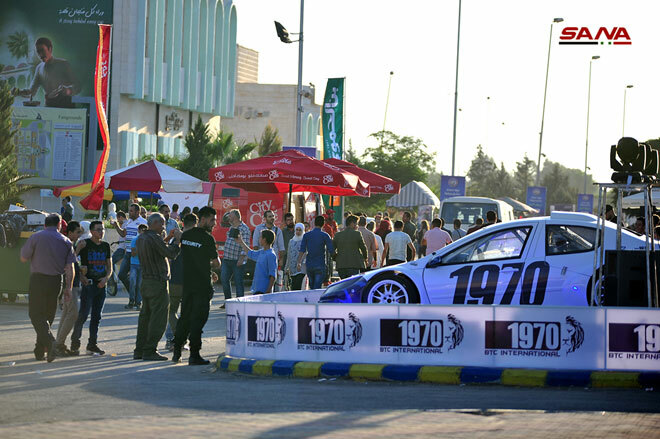 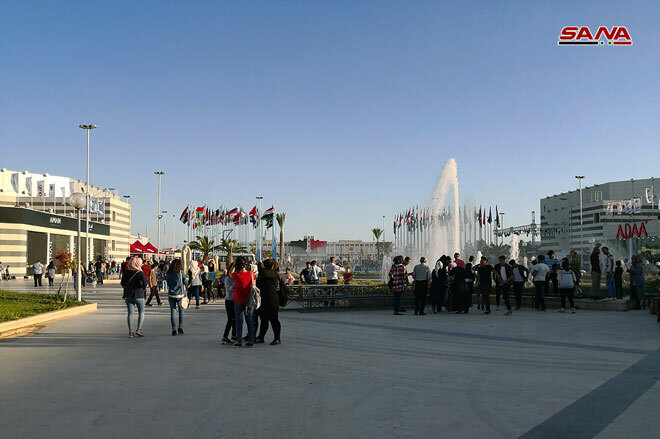 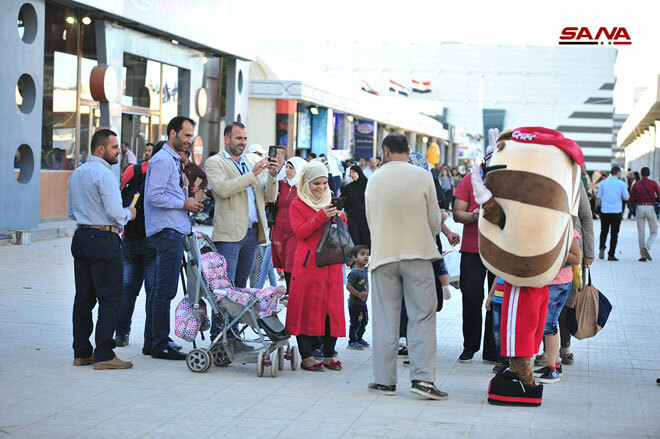 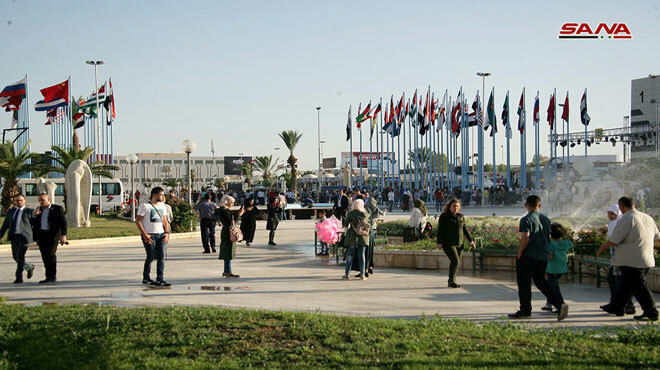 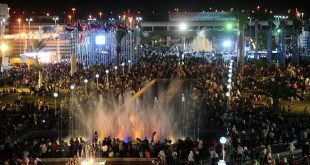 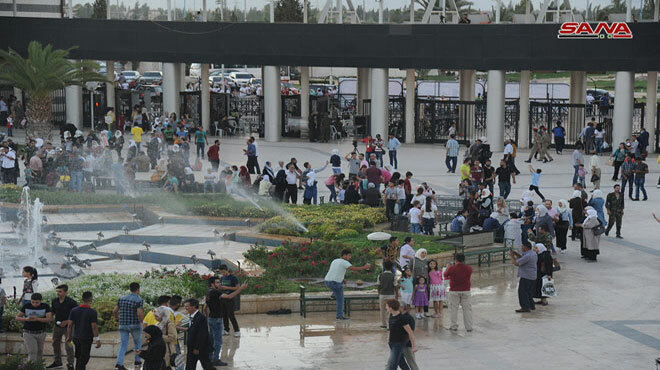 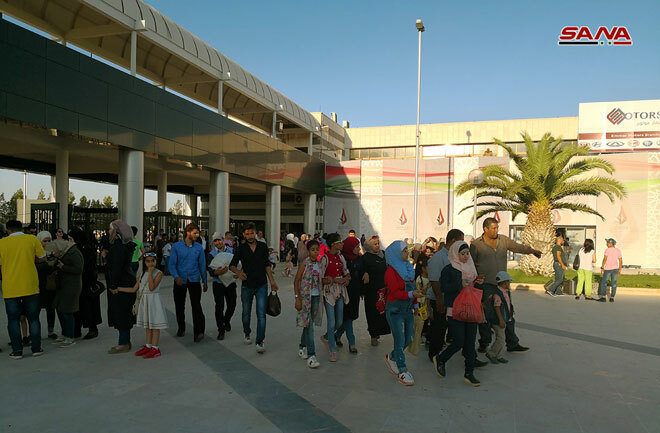 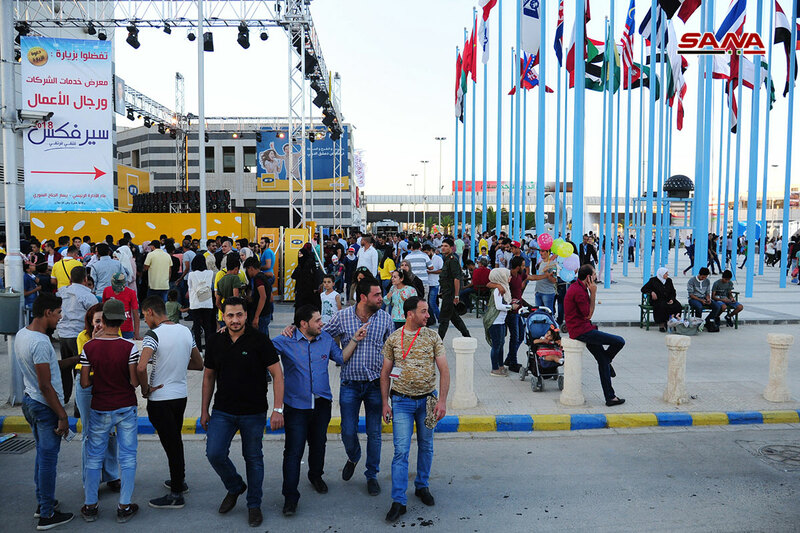 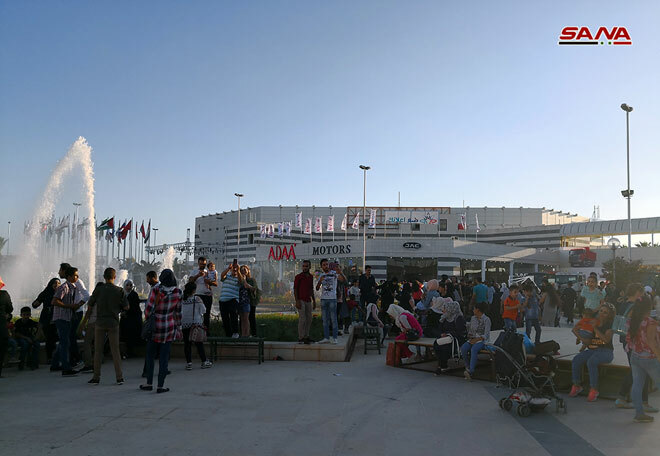 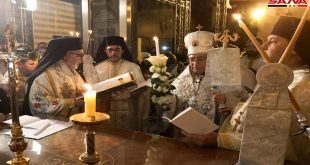 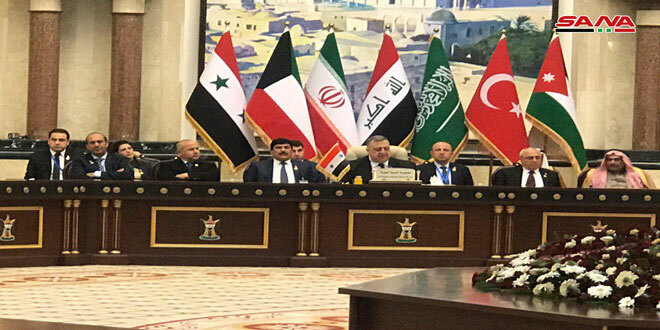 Damascus, SANA – Crowds of visitors and participants gathered and lines of cars filled the Damascus Airport road during the first few hours after the opening of the 60th Damascus International Fair to the public. 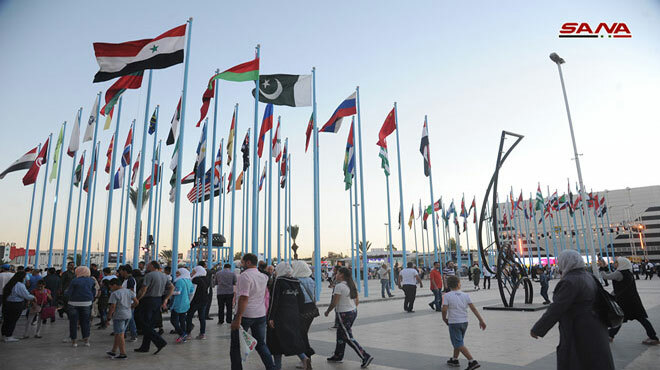 Large numbers of visitors headed to the Fairgrounds on Friday to attend the Fair, which had its official opening ceremony on Thursday evening with the participation of 48 Arab and foreign companies and many companies. 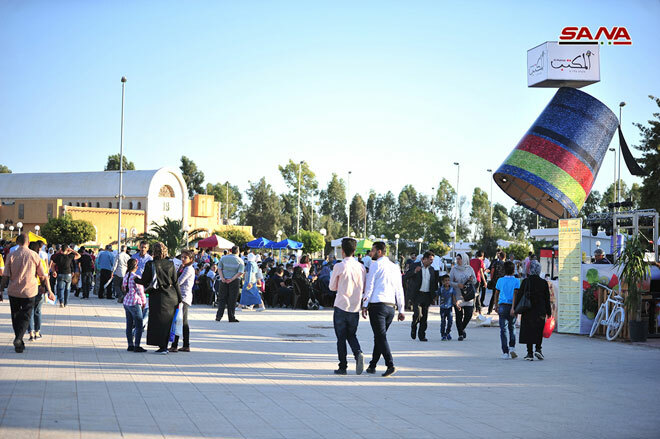 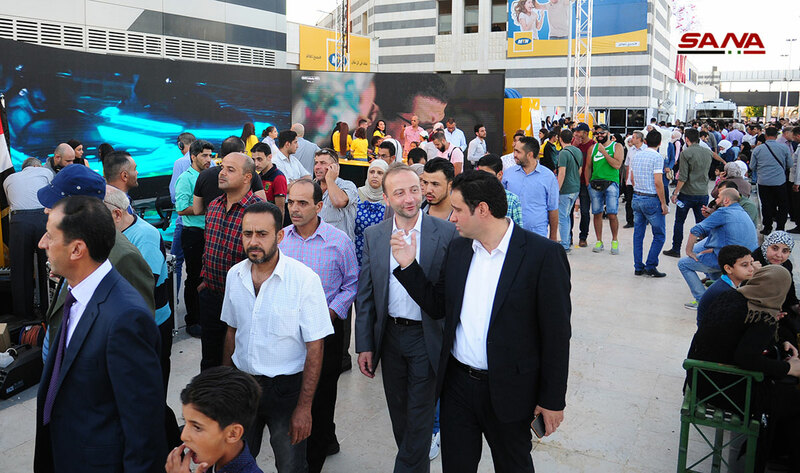 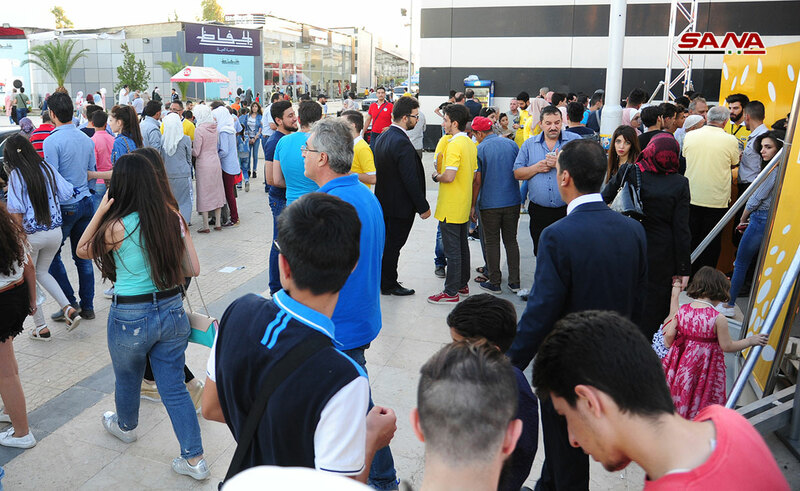 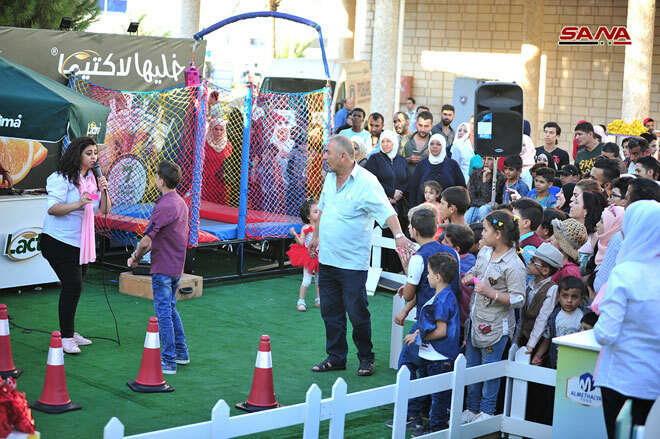 SANA met a number of visitors at the Fair, who expressed happiness over the unexpectedly large turnout and admiration over the Fair’s contents and activities, praising the organization of the event especially in terms of transportation. 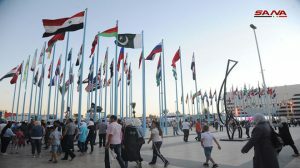 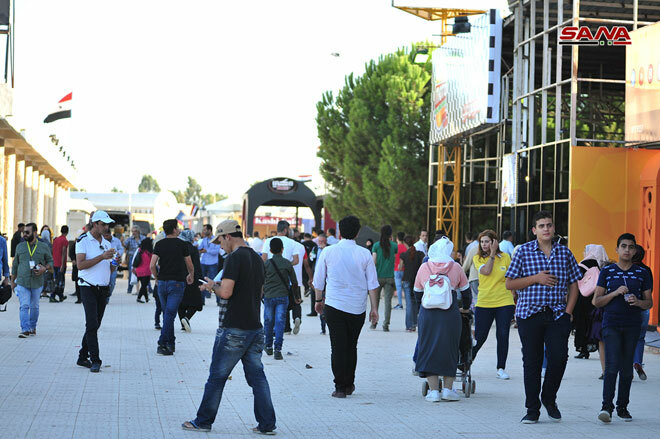 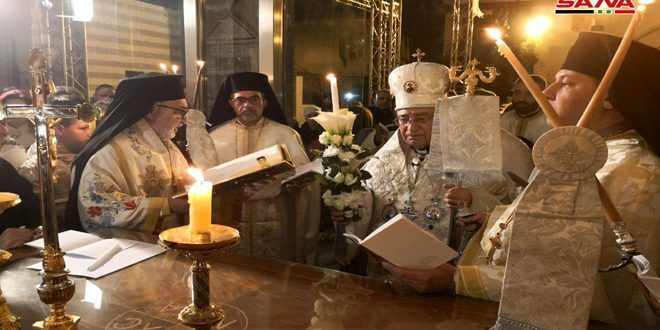 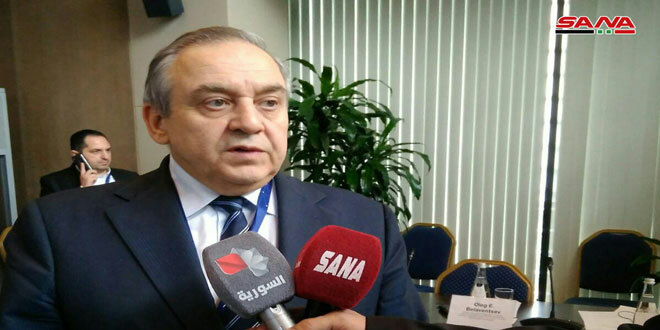 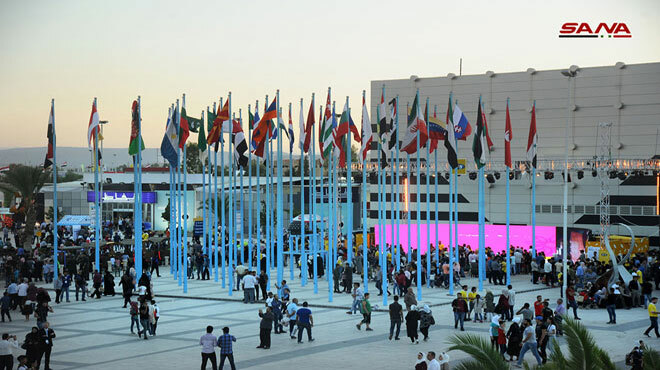 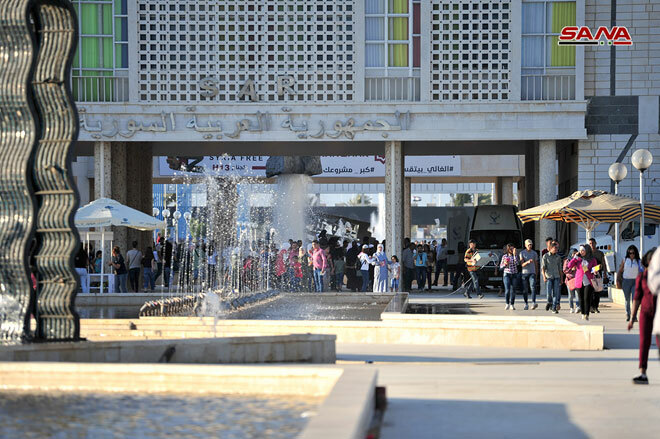 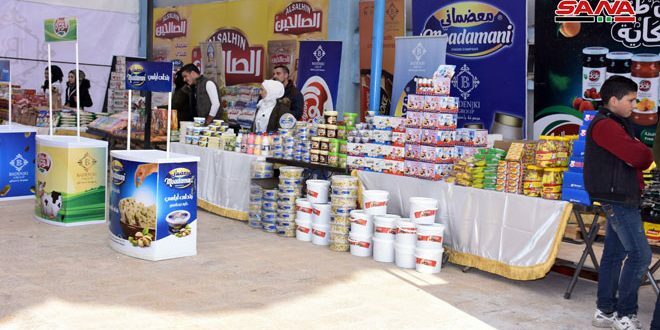 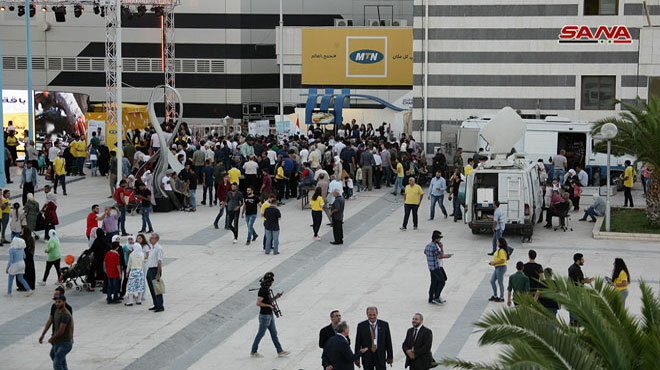 The 60th edition of Damascus International Fair will remain open until September 15th. 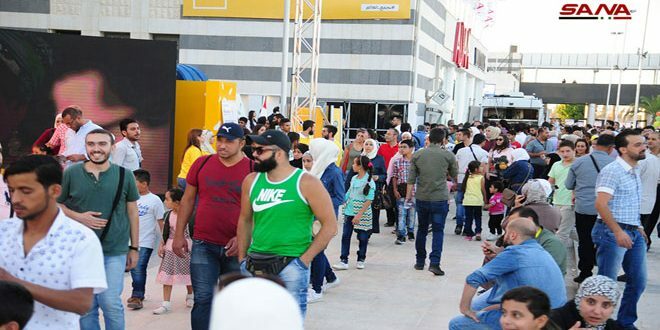 Its activities include musical performances by Syrian and Arab artists, folk dance performances, children’s threaten plays, a special raffle, seminars and lectures, specialized exhibitions, and promotional offers by participating companies.